Magpul’s GL Enhanced Magazine Wells now cover Full-sized and Compact Glocks. Magpul has just released two new GL Enhanced Magazine Wells for Full-sized Glock pistols. The new GL Enhanced Magazine Wells add to the previous two options for Compact Glock pistols. 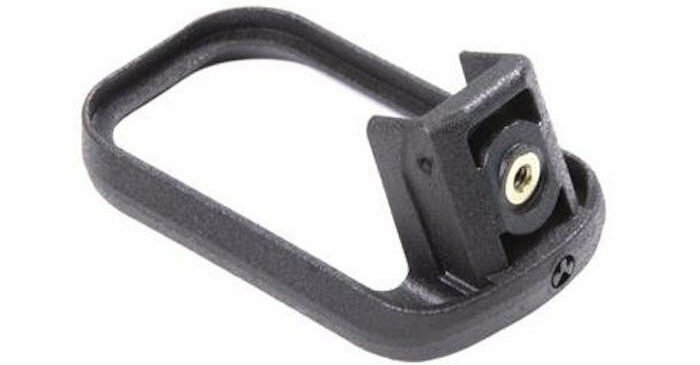 The enhanced magazine wells are designed to quickly and easily attach to the Glock frame, and provide a larger and slightly angled surface face to guide new magazines into the magazine well. The concept of enhanced or flared magazine wells is not new, and has been a standard item with competition shooters for years. By enlarging and angling the lips of the magazine well outward a shooter has a much greater chance for fast magazine replacements during high stress or timed events. The reduction in time to reload, translates to faster times on target. In police work the fraction of seconds saved could make the difference in life and death. Expanding upon their very impressive polymer kingdom, Magpul now offers GL Enhanced Magazine Wells for full-size Glock pistols. Previously there were two options for the very popular Compact Glock pistols. Made with the same proprietary polymer construction that made Magpul famous, the new Glock products will be both strong and durable. The ergonomic design will help with magazine reloads without adding significant printing during concealed carry situations. The “ramp and edge” geometry will enhance both magazine insertions and removal during immediate action drills. An additional benefit of the Magpul GL Enhanced Magazine Well is its compatibility with standard Glock magazines, Magpul GL magazines, and a wide variety of after-market floor plates. NOTE: Standard and Magpul GL 10-round magazines have slightly different dimensions and may not work well with the Magpul GL Enhanced Magazine Well. In addition, some after-market magazine floor plates may also be incompatible. Attaching the GL Enhanced Magazine Well can be accomplished in minutes. Attaching the GL Enhanced Magazine Well to your Glock pistol is very easy. Simply insert the Magpul GL into the base of the Glock magazine well with the tall end facing the rear. The threads should line up perfectly with the lanyard hole on the back side of the Glock grip. The GL Magwell will line up with the manufactured magazine well, and then the shooter simply screws the GL Magwell into place. A side benefit of the GL magwell is it seals the open area behind the magazine well that was originally designed into the Glock pistols. Though not a critical mechanical concern, this open area is a haven for dust, dirt, and other debris. Magpul’s GL Magwell chart for full-size and compact Glock pistols. 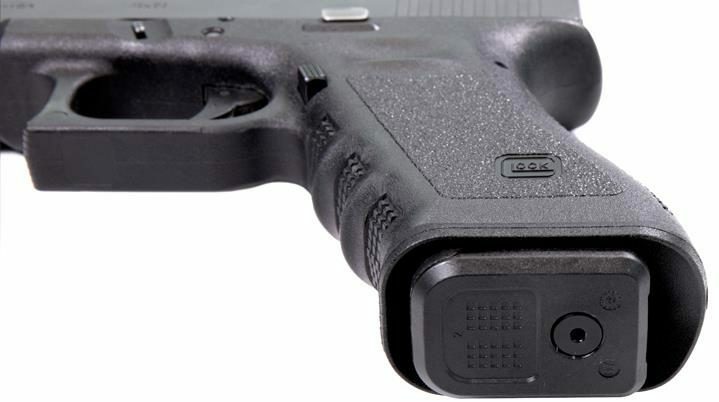 Magpul now has GL Enhanced Magazine Wells for full-size and compact Glock pistols. Having been in law enforcement for over 20 years now I have seen my share of painful attempts by officers under stress struggling to reload and finish a string of fire under time constraints. Despite training processes designed to help officers be successful during reloads, stress and limited time still wreak havoc on many shooters. The Magpul GL Enhanced Magazine Wells could very well reduce the amount of reload failures, and provide officers the confidence to stay in the fight.